The Royal FloraHolland trade fair in Aalsmeer takes place from Wednesday 8 to Friday 10 November. 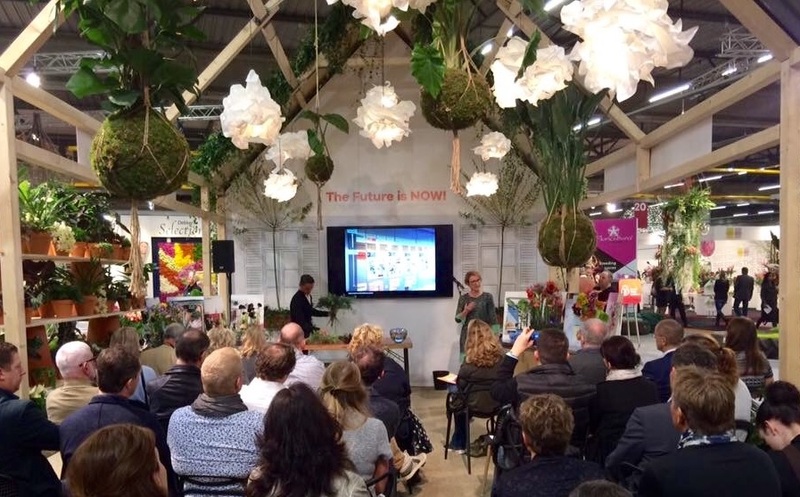 For three full days there will be different speakers and workshops to provide inspiration for all visitors to the Royal FloraHolland House. The Flower Council of Holland will play an active part in the programme with a crash course in online marketing and the Horticulture Sector Trends 2018 workshop. Both presentations will be given once in both Dutch and English. During the online marketing crash course, Nancy Berendsen (freelance content consultant) and Tessa Triesscheijn (manager content marketing Flower Council of Holland) will share their experiences with on and offline content, provide an insight into green business and talk about success stories and common mistakes. And of course, they will show you how you can get higher Google search results for your story and your company. They will share clever social media tips & tricks that you can put directly into practise after this hour marketing session. Trendwatcher Aafje Nijman takes you through the Horticulture Sector Trends for 2018. Information about trends will be combined with an inspiring demonstration by flower arranger Joan Stam. Aafje Nijman also explains the three style trends used by the Flower Council of Holland to design contemporary and newsworthy visual material. Plant and flower sellers can apply these trends when making choices about shop furnishings, purchase decisions and types of flower and plant arrangements. Mood boards for all three 2018 style trends are on display on walls throughout the exhibition at the Royal FloraHolland House. Check out the full programme for the Royal FloraHolland Trade Fair 2017.